The fact is; it is still the best straight ahead Rock n' Roll tremolo on the market. It's the only one that really stays in tune. It's Bulletproof and a real workhorse. Just because it say's Floyd Rose on it doesn't mean it's the real McCoy. 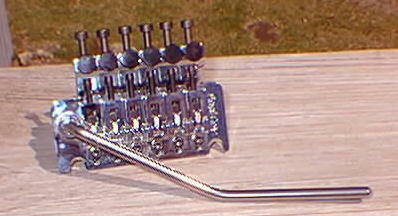 There are probably 50 companies manufacturing Floyd Rose Style Tremolos, Most of them will obtain a license from Floyd. The fact that they have purchased a license and are paying Floyd a royalty does not mean that they have to build it as well as Floyd. 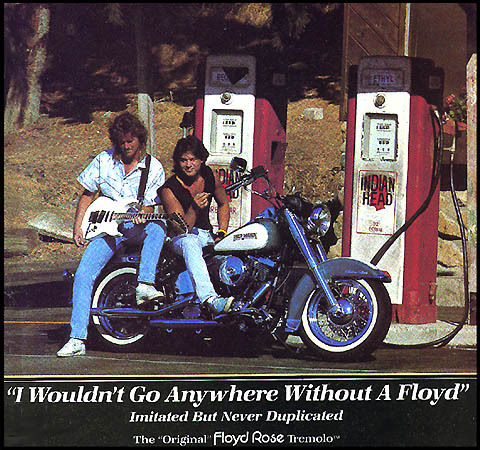 In fact I have never seen another one that I like as well as the Original Floyd except the one that Hamer used in the mid 80's. 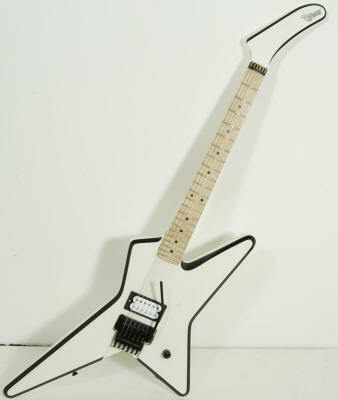 The ones that Jackson, Charvel, BC Rich, Peavey & Ernie Ball use are usually Korean or Japanese impostors. 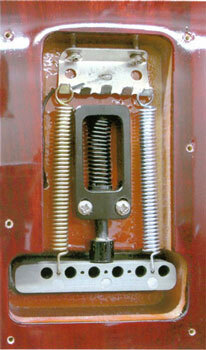 Floyd Rose Tremolo's have gotten some bad press over the past 10 years because of cheap Asian impostors. Like I said above, there are many companies who have legally licensed the name but haven't built the unit up to the standard of the original German manufactured unit. The original units are case hardened. They don't wear on the pivot points like the cheaper ones do. This means that they really do stay in tune. The Floyd Rose Tremolo utilizes over 15 patents and it is my understanding that Floyd doesn't necessarily license out all of the patents. When the main patent ran out finally after a 17 year stint. Floyd decided to lower the price to make it impossible for the competition to eat his lunch. Never let it be said that Floyd Rose is short on intelligence. Floyd is probably one of the smartest people in the industry today. 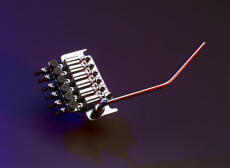 The Floyd Rose Solid Titanium Tremolo Is Made Totally From Titanium. The price of $899.00 is half of what some companies are charging for just a Titanium Block & Saddles. 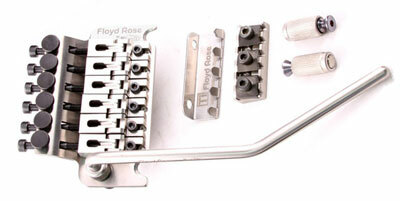 The Floyd Rose Speedloader is available in both Tremolo & Fixed Bridge. Many of our esteemed competitors do not give you a choice of which nut on their shopping cart. they didn't even bother to mention whether it was narrow or wide string spacing. Look at the nut size table below and make sure you measure your guitar to get the correct one. This table is designed to help you select the correct nut size. 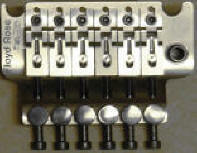 For Left Handed - substitute "L" in the part number for "R."
For Locking Tremolo Systems: The d-tuna is an easy to install, terrific tool for playing in Drop D. Designed for double-locking tremolo's such as the Floyd Rose, the d-tuna enables players to drop from E to D and back in an instant.